Steeped in legends and mystery and estimated at over 18 million years old, Mangaia is the second largest in the Cooks. Said to be the oldest island in the Pacific, Mangaia has a central volcanic plateau surrounded by a 60m high ring of fossilised coral (Makatea) that is honeycombed with caves (attracting many archeological expeditions) that drain into a lake. The individuality of the island reflects its heritage of fierce independence, also seen through their unique traditional weaving (mats, basket-ware and hats) and intricate carvings that are highly prized by locals and tourists. Mangaia is far from the hustle and bustle of the outside world and boasts a lush, spectacular landscape and rare birdlife. Itiki (freshwater eel) a local delicacy, bream and prawns fill the crystal clear freshwater lakes of Mitiaro. Once a volcano that sank to become a coral atoll, 10,000 years ago Mitiaro thrust up 6-9m high making it the flattest island in the Cook Islands, 6.4km wide at its widest point and standing in water 4500m deep. There are many caves to explore, some with freshwater swimming holes and two freshwater lakes. Definitely a place for visitors who like peace and quiet and a chance to catch up on reading. Takutea is the archetypal tropical island. A tiny jewel in a crystal sea, with its emerald centre edged by a coral sand setting. 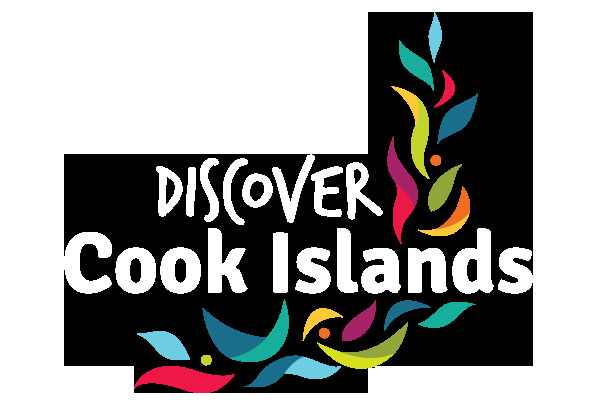 Evidence indicates it has never been settled despite Captain Cook, who sighted the island in 1777, and his crew finding some old huts when they landed with difficulty. This uninhabited island lies 102km south-east of Aitutaki and is the only true atoll in the Southern Cooks. A marine park teeming with sea birds and turtles, this little island is set on the peak of a submerged volcano which plunges deep into the ocean bed. Its little horseshoe shaped islets sit either side of the lagoon – Manuae to the west and Te Au O Te to the east – and cover an area of 6.1km either side of it. According to legend, Mauke was originally named Akatokamanava – ‘the place where my heart rested’ – by the Chief Uke after a long voyage from Avaiki. It’s a fittingly romantic name for the beautiful island encircled by the characteristic fossilised coral cliffs (Makatea) and virtually flat with a circumference of 18km. The island offers numerous coves and white beaches as well as caves in which to swim. The people of this island are renowned for producing crafts, especially pandanus mats, handbags, purses and hats. Sitting like a delicate necklace in the blue body of the Pacific, its coral reef and white beaches string six sandy motu (islets) together and a surrounding vast lagoon. The little islets cover a total land area of just 2.6km² scattered along a coral reef that edges an 11km wide sparkling blue lagoon. 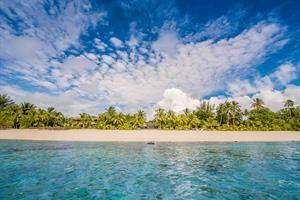 Flecked with kaoa (coral heads), the lagoon is the main source of income to this tiny community.